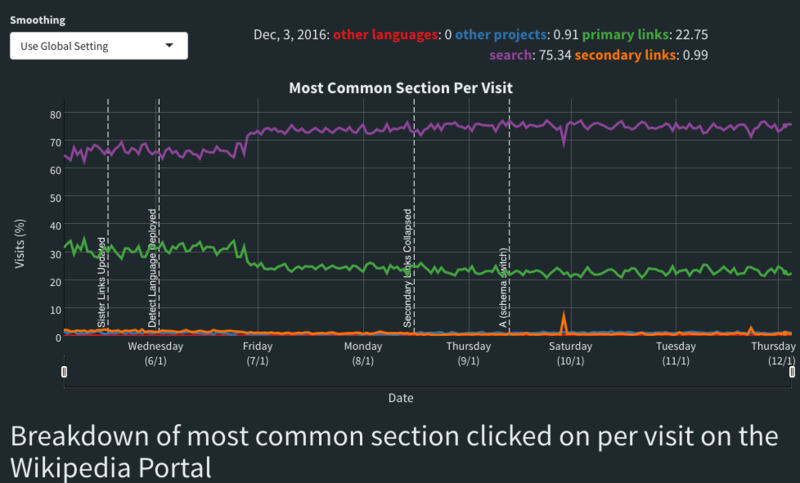 Currently, on the portal dashboard, we only show that a clickthrough happened on one of the sister projects, but not which one. I'd like to have a breakdown of the clickthroughs by sister project to aid in discovering if the order of the list of sister project should be changed or additional future work. This will be a good one for Chelsy to do because adding a new metric module ('report") will give her a chance to get better acquainted with the new way we're generating datasets using the Reportupdater framework. mpopov set the point value for this task to 4. Whoops :/ I had a brain toot and FORGOT THE THING I LITERALLY JUST WROTE and added this to the big migration patch anyway. Sorry! 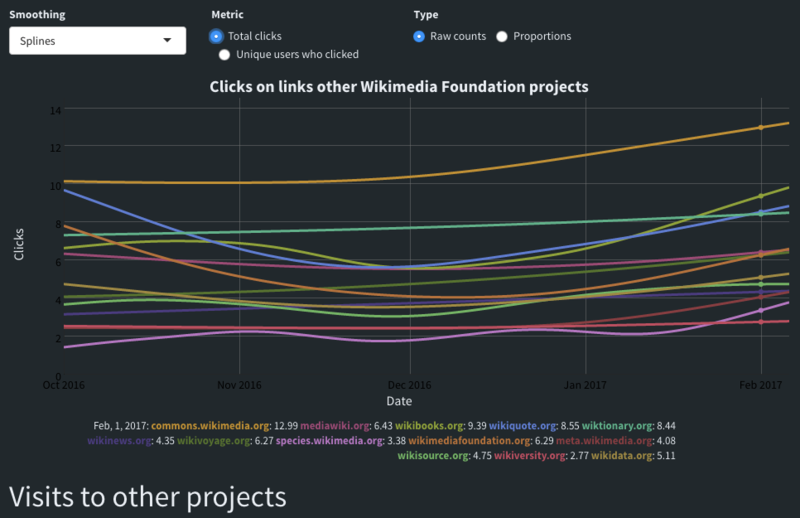 Note that the general rule is that the order follows the usage of the projects (the pageviews as shown on WikiStats, historically).